Should I Head to the ER or an Emergency Dentist? Emergency Dentists USA has exactly the emergency dentist that you have been looking for to take care of that nagging toothache or to replace that crown that you lost. With a convenient listing of 24-hour dental clinics and dentists who offer after-hours appointments, Emergency Dentists USA provides plenty of choices when it comes to selecting a new dentist. This easy-to-use website makes it a breeze to find a great Reno emergency dentist even when you are new in town or just spending your vacation enjoying the sights. Check out our 24-hour hotline to speak with a friendly representative who can help you to choose the right dentist for your dental emergency. Our hotline helps with driving directions, setting up your appointment and ensuring that you get the care you need exactly when you need it. Dealing with dental pain by itself is a horrible experience, glad it was made easier when I found this website. Emergency Dentists USA’s staff was amazing and found a dentist that could see me the next day. It only took a few minutes and I was able to rest easy knowing I was going to get relief the next day. Walk-in dental clinics – Dental clinics that allow a patient to walk in without an appointment are tough to find. Reno has excellent hospitals with emergency rooms that allow you to access a physician without an appointment. Emergency 24-Hour Dental Clinics – Clinics that specialize in being open 24-hours a day are not available in Reno, but Dr. Joseph Peri DDS provides 24-hour service if you are in need of emergency dental treatment. Just call his office phone number to speak with a person who can help you right now. After Hours Dentists – Dentists who offer service after hours are definitely helpful when it comes to handling a dental emergency. Dr. Peri, Sala Family Dentistry and Champagne Family Dentistry all provide after-hours treatment. Emergency Dentists USA makes it simple to find a great Reno emergency dentist. Just scroll through our listings that include after hours dental clinics and 24-hour emergency services that are designed to get you to the right dentist exactly when you need that dental care. Description: Call to be connected with the perfect dentist for you. Reno is a large city and we have the connections to find a dentist to fit your needs, and can get you an appointment immediately. 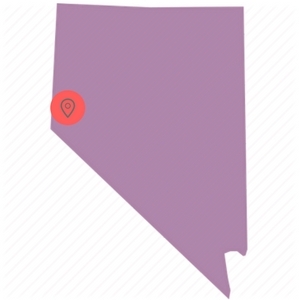 Find Nevada 24 hour dentists today. Description: Sala Family Dentistry of Reno is proud to have their office open on Saturdays, and they can help with any urgent or routine dental issue you are dealing with. Competent and reliable, they provide the best in service attainable for the community of Reno. Description: This facility offers first-rate services for patients needing urgent attention to address a root canal or tooth extraction. This dentist is determined to help those emergency dental needs of its Reno patients. Dr. Peri is willing to operate as one of the few 24-hour dental clinics in Reno, NV and that means you want to give this practice close scrutiny if you need to get someplace that has trained personnel to handle your ER dental matter. Description: Willing to work with you on a Saturday if you are confronted with an emergency, this dental practice in Reno, Nevada offer a full range of general dentistry services. They can offer extractions, root canal therapy, and provide standard dental procedures such as teeth cleaning. – Emergency dentists in Reno perform routine exams, x-rays, and cleanings just like your regular dental office. – Gather your dental records prior to visiting your Reno emergency dentist. Any recent x-rays or examinations can help your new dentist to determine the best course of treatment for your emergency. – Try to arrive at least 15 minutes before your dental appointment to ensure that you have plenty of time to fill out the necessary paperwork and ask questions about the services. – Ensure that the emergency dentist takes your method of payment. Most dentists accept cash, personal checks, credit cards, and even offer low-interest payment plans. – Ask about your dental insurance. Choosing a dentist who accepts your dental insurance can save you money when the dental bill is due. – Let the dentist know if you have allergies to any medications. Bring a list of your current medications with you to the dental visit. – Do you have intense dental anxiety or fear? Let the dental office staff know that you have these types of fears so that they can help you to become more comfortable with your dental care. Common dental emergencies are what brings most people into a dental clinic in a hurry. Some of the most common of these emergencies include a painful toothache, a broken tooth, or a chipped tooth. We have outlined some of these emergency situations below along with some at home remedies to try while waiting to get in to see your Reno emergency dentist. An abscess is a common dental emergency that can be extremely painful. 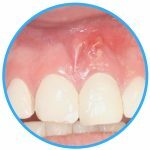 An abscess is an infection that occurs in the gum below the tooth or in the soft tissues between the teeth. Left untreated, an abscess can spread the infection to other parts of the body that include the jaw. If you have an abscess, rinse your mouth several times daily with salt water to draw the pus to the surface of the tissue. Use a cold compress on the outside of the mouth to lessen any pain and swelling of the area. A chipped or broken tooth is a dental emergency that requires prompt treatment. If you are able to find the pieces of the tooth, gather them and rinse them with plain water. Bring the pieces of the tooth with you when you visit your emergency dentist. If the area where your tooth is chipped is bleeding, use a moistened piece of gauze to apply pressure for at least 10 minutes. This will stop or slow the bleeding. You can also use a cold compress on the outside of your mouth to ease the pain and swelling associated with a chipped or broken tooth. 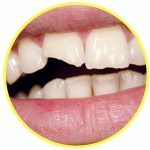 Tooth trauma caused by an accident can include broken teeth, knocked out teeth or even chipped teeth. If you were injured in an accident, visit a hospital emergency room as soon as possible to ensure that you do not have a concussion or other head injury. Save any broken pieces of the tooth to bring with you to see your Reno emergency dentist. If you have swelling on the outside of your mouth, use a cold compress to reduce the swelling and help to control the pain. Moistened gauze can be applied to the inside of the mouth to stop any bleeding. You might need an emergency tooth extraction if your tooth is so badly decayed that the dentist is not able to repair the tooth. You might also need the extraction if your tooth is crowding another tooth. The procedure should be accomplished as quickly as possible to avoid damage to surrounding teeth and to lessen the chances of complications or pain. The emergency tooth extraction usually begins with an x-ray and examination of the tooth. The dentist then chooses a general or local anesthetic to ensure that you are comfortable throughout the procedure. Then, he or she uses a special tool to pull the tooth out of the gum. Sometimes the dentist will break the tooth into small pieces and then remove it. The gum is then closed with a type of sutures that dissolve over time. Gauze is applied to the gum to stop any bleeding and full healing occurs within one to two weeks. Following your emergency tooth extraction, it is important to follow your dentist’s instructions carefully. Avoid smoking, drinking alcohol, or drinking from a straw after the procedure. You will also need to avoid eating hard foods for the first few days after the extraction is completed. Visiting the emergency room for a terrible toothache might sound like a great idea, but your Reno emergency dentist is definitely the best choice for any tooth emergency. Unlike the emergency room, your emergency dental clinic is set up to treat any type of dental emergency that you might have including a chipped tooth, a soft tissue injury of the mouth, or a lost filling. The dental office is generally less expensive than the emergency room, and the dentist can usually fix your dental problem in just one visit rather than first having to see the ER doctor and then following up with a dentist. If you have a broken tooth or a damaged tooth due to an accident, a fall, or a sports injury, getting checked out in the emergency room is the right choice. This ensures that you do not have any other injuries that could be life threatening like a concussion. When you choose a Reno emergency dentist, it is important to ensure that he or she is properly licensed in the state of Nevada. You can use the American Dental Association’s website located here: www.ada.org to check on your new dentist’s licensing and to learn more about great dental habits. The Nevada Dental Association located here: www.nvdental.org also offers excellent information about dental care and local dentist certifications.